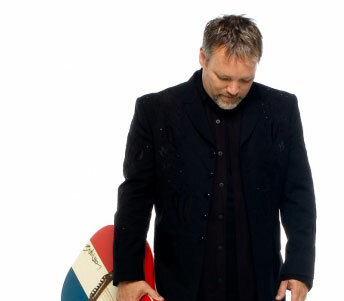 John Berry has one of the most powerful and distinctive voices in country music. It's a stunningly rich, majestic tenor that he uses to its full effect. With multiple gold and platinum albums and nominations from the Country Music Association, the Academy of Country Music, and the Grammy's, he has clearly forged an appreciation from the music industry and fans alike. One such fan includes former President George H. Bush and wife Barbara, who invited John to sing for Mr. Bush's birthday party. Born in Aiken, South Carolina, and raised in the Atlanta, Georgia area, John grew up in an eclectic musical household. His father listened to concert pianist Van Clyburn, his mother had a strong taste for gospel, and his brother became an opera singer. John gravitated to both soul and country music and began recording his own albums at home in 1979. Two years later, John started performing solo acoustic shows in northeast Georgia, then expanded around the southeast, building a strong name and following. As his reputation grew, so did the demand for his self-styled recordings. He eventually made six self-produced albums, with the last one selling over 10,000 copies. He was finally signed to Capitol Records in 1992. John had his first #1 single in 1994 with "Your Love Amazes Me," with "She's Taken a Shine" and "Standing on the Edge of Goodbye" following suit. Other Top 10 releases included "You and Only You" "I Think About It All The Time", "What's In It For Me", "If I Had Any Pride Left At All", and "Change My Mind." "Standing On The Edge", as well as his edgy top 10 hit "Kiss Me in the Car," showed off John's songwriting ability. Making a difference is John's motivation, and he sees music as a profoundly important calling. He has conscientiously used his influence to improve both the global and local communities. He has contributed his time and talents for several children's charities, and lent his name to such causes as adult literacy and Cystic Fibrosis. John has been quoted as saying "If there are things we can do that may help make a difference in the lives of others, we should make the most of that opportunity". John has been actively recording his own albums with his new independent label, Clear Sky Records. His album Songs and Stories was released in May 2002, and has sold over 25,000 copies at shows, online, and through his Fan Club. For the 2003 holiday season, he re-released his live Christmas CD, O Holy Night Live, formerly titled Christmas Live. That CD has been snapped up by fans also, creating the need for a fourth pressing. During the summer of 2003, John hit the road with friends David Lee Murphy and Lee Roy Parnell on the "Paintin' the Town Tour". While on the tour, John and David Lee wrote the romantic single "Will You Marry Me?," which received high praise. On reviewing the single, music critic Robert K. Oermann says John has "still got the goods". Also, that "There's something special about saying something in a song for people who might not be able to express themselves in such a nakedly emotional way." Bill Lewis at WYTZ in Benton Harbor, MI, predicts "Will You Marry Me?" will make those single guys want to run out and get the ring for their lady and married couples will want to renew their vows." One fan did just that. He was inspired by hearing the song on the radio to "pop the question" to his girlfriend when he heard the song on the radio. This fan even called John's Fan Club to get the CD early, in order to use it for the special event. This past Spring, John hit the road for what proved to be an amazing tour, appropriately named "The Love Tour", in support of "I Give My Heart", his latest album of classic love songs. This CD includes the new hit single "Will You Marry Me". "I Give My Heart" is available at Wal-Mart, Best Buy, Musicland, and Borders stores. Noteable Entertainment & Events is a Vancouver based booking agency, party rental, entertainment services and event production company. If you are interested in booking John Berry please contact us.